Owlerton Greyhound Stadium is one of the most visited greyhound tracks in England. The track is located in Sheffield, beside Napoleons Owlerton Casino. Owlerton Greyhound Stadium's new facilities offer the best view of the track. Fifty percent of greyhound fans that frequent Owlerton Greyhound Stadium are women. This is why Owlerton is home to greyhound's one and only Ladies Day races. Owlerton Greyhound Stadium is also the home of the Pirtek Tigers and the Pirtek Prowlers speedway teams. Owlerton greyhound racing is located at Owlerton Sports Stadium, Penistone Road, Sheffield, England. Owlerton Greyhound Stadium was originally built in 1929. 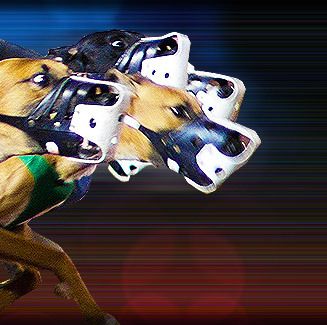 The National Greyhound Racing Club (NGRC) introduced greyhound racing in 1932. In 1991, Owlerton Greyhound Stadium underwent an £3,000,000 refurbishment after being acquired by the Sheffield based A & S Leisure Group. Today the Owlerton Greyhound Stadium hosts some 260 greyhound races every year. These races are broadcasted to all of Britain's 8000 Betting Shops and to many countries overseas by the Bookmakers Afternoon Greyhound Service (BAGS). Owlerton Greyhound Stadium is the sixth most visited track in England. Over 300,000 spectators visit the track every year.